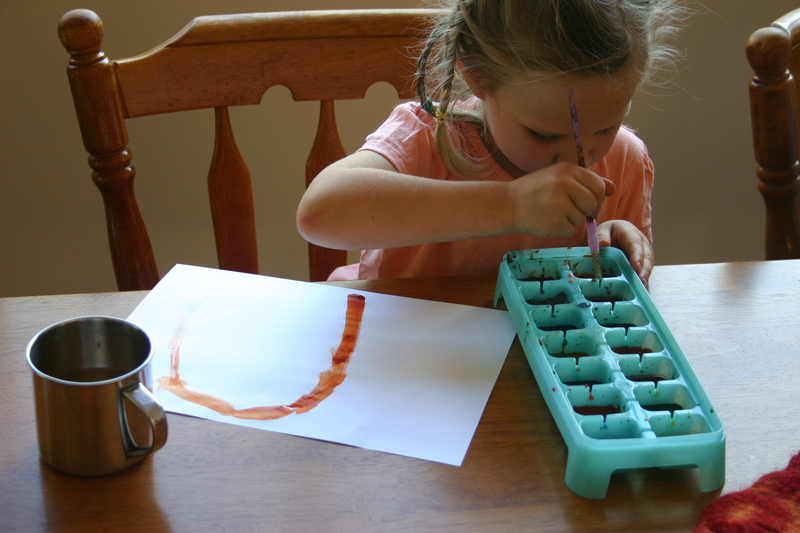 We doubled the recipe (so that we had enough so everyone could stir something) and set the watercolours in two ice cube trays. 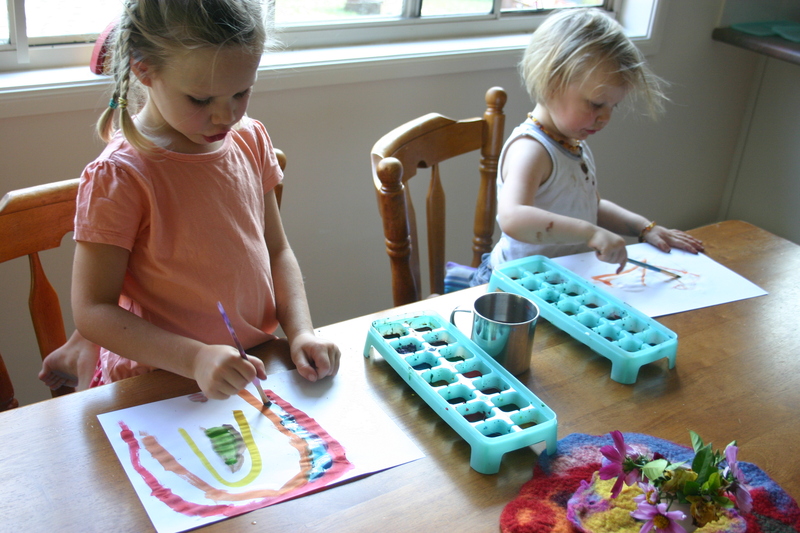 These trays have lids, so we can put the paints away for later on. We used liquid food colouring – perhaps a bit too much because it took a while to set – but I think it turned out brilliantly! The colours are clear and vibrant, the paint goes on the paper really well and the bicarb in it makes it set with a sparkly sheen. Which, according to my 2-year-old, is just as pretty on clothes and skin, as well as on paper.